EPICentre (Expanded Perception & Interaction Centre) is a shared UNSW research centre located at the UNSW Art & Design campus, in the historic Block C. building. The Centre undertakes visualisation research in the fields of art, design, science, medicine and engineering. EPICentre's major research facilities are accessible to UNSW and external researchers. Government and industry users are also welcome. The staff of the Centre provide research collaboration, technical support, education and training to researchers accessing the facilities. UNSW's EPICentre makes decades of accumulated historic and massive new data visually accessible. Cutting-edge computing, 3-D immersive and screen-based technologies renders this data visible and enable scientists 'to get inside' and be immersed in some of most challenging and complex medical and health problems. The most advanced facility of its kind, UNSW's Expanded Perception and Visualisation Interaction Centre represents the next generation in medical imaging technologies, engineering, high-performance visualisation, simulations and applied artificial intelligence. This groundbreaking new interdisciplinary Centre applies integrated design thinking and a interdisciplinary approaches to research to enable scientists to see their research data in real time and three dimensions. EPICentre is at once a game changer for research relying on large data sets and for broad public engagement with advanced research and its impacts. The Centre's potential applications and impact across mental health research, simulations, science advancements and science engagement are immense. This pioneering Centre brings together a collaborative team of outstanding leaders from across a diverse array of previously distinct disciplines such as bio-informatics, medical and neuro-imaging, art and design, immersive visualisation, visual analytics, data fusion, anatomy research and computational engineering to challenge the limits of how scientists interact with and analyse information. UNSW has developed ultra-high resolution, immersive visualisation environments. EPIC's unmatched multidisciplinary expertise and an array of visualisation environments enhance our capacity to do research and illuminate our understanding of rich applications of big data to accelerate scientific discoveries across the field. EPICylinder system that is seven metres diameter, 340-degree panoramic projection, 33 speakers in a surround audio system, screen resolution of 120 million pixels in 3D, which is three times higher resolution than its nearest equivalent. XR-Lab consists of several hardware solutions that allow the development and delivery of fully featured collaborative Virtual Reality and Augmented Reality applications. 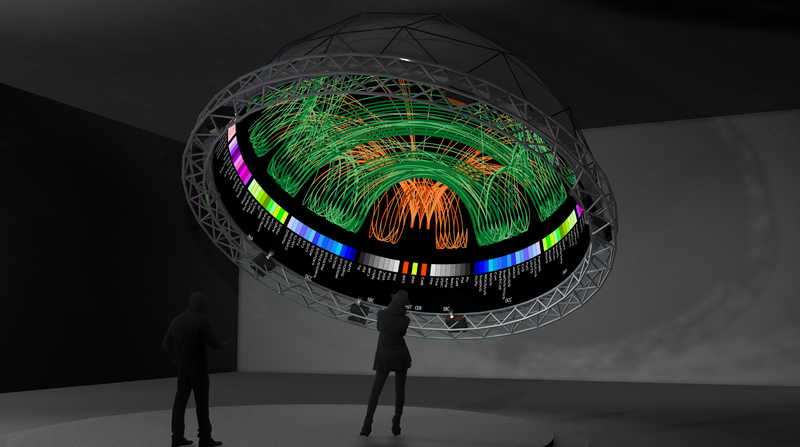 This lab also hosts a 3m hemispherical dome and multiple interaction devices such as Emotive EEG, Microsoft Kinect 2, 360-degree cameras, laser projector, various gesture cameras, a large set of IoT sensors communicating through networked embedded systems, and upcoming multi-touch wall. This groundbreaking facility is a cornerstone of UNSW’s strategic focus on academic excellence, interdisciplinary collaboration and global research impact. By empowering researchers through ‘big data’ modelling, simulations, data visualisation, bioinformatics, complex statistical analysis, and applied computational mathematics, we can help them address the pressing medical and scientific challenges.